We Want To Make Your Smile Complete! Sometimes teeth are damaged so critically that they cannot be restored and may need to be removed (an extraction). Replacing missing teeth can be very important for your overall health (for example, so that you are able to eat well), provide a natural appearance, improve pronunciation of words, and improve self-esteem. Our dental team at Compassionate Dentistry in Grants Pass has several options for our patients for replacing lost teeth. Dr. Sara Riechers will diagnose the condition of your teeth and gums, then recommend and discuss the treatment options that best suit your dental, medical, personal, aesthetic, and financial needs. 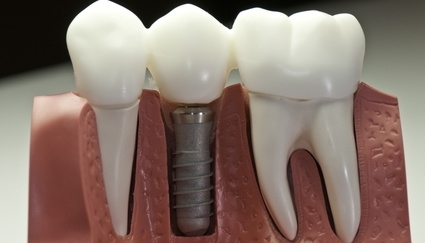 Dental Implants are man-made tooth roots that are placed in the jawbone in place of a tooth. When healing, the bone will heal into the threads of the implant, making them an excellent long-term option for missing teeth. Bridge: A bridge consists of a crown (or cap) on the teeth next to the space, which are attached to a fake tooth that is in the middle. 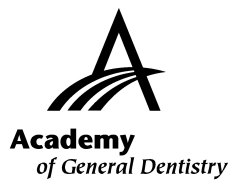 The artificial tooth is “anchored” to its neighbors, creating a “bridge” between them. The bridge is cemented into place and is not made to be removed. A variety of materials, such as metal with a porcelain coating, enable a bridge to match the appearance and color of other teeth in the mouth so that they appear natural and will satisfy your aesthetic dental needs. One down-side of bridges is that if complications arise with one of the anchor teeth, the one tooth problem can become a three (or more) tooth problem. Dentures are artificial teeth that can be removed from the mouth. Complete dentures replace all of the teeth on the top or on the bottom of the mouth. Removable partial dentures can replace one tooth or several teeth. Dentures are usually made out of a hard plastic called acrylic that can be customized to match the color of your gum tissue, and the artificial teeth can be made to match the color of other teeth. This means that dentures can look natural and be unnoticed. A flipper is made to quickly replace one or a few front teeth. This allows you to get your smile back while other more permanent options are considered. Flippers can break easily and are not made for chewing, but are a great option to use while implants are healing . Please call us today at (541) 956-2177 to schedule an appointment with Dr. Sara Riechers to discuss the best way to replace your teeth. 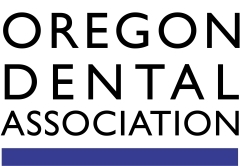 Our Grants Pass staff at Compassionate Dentistry would love to make sure you have a satisfied and complete smile.